A hosta cultivar name can be reserved with the AHS Registrar. The reserved name does not require descriptive information, will be protected for a one time period of three years from date of receipt, and requires paying a $10 reservation fee. The reserved name may not be displayed in gardens nor used in print before registration with the AHS and Registrar publication. A maximum of 6 cultivar name reservations may be held concurrently by a registrant. It is the position of the AHS that a person gifting or selling seed relinquishes all claim and registration rights to any seedlings grown thereof. The hosta seedling originator is the person who grows the seed, regardless of the source of the seed, except by mutual agreement between the parties. Time seems to fly more quickly with each passing year --- YES, IT’S MEMBERSHIP RENEWAL TIME AGAIN! If there is a “13” after your name on the mailing sheet which accompanied the most recent Hosta Journal, then it’s time to renew --- you wouldn’t want to miss any of the fun, would you?! I know this might be surprising (and possibly somewhat distressing) news to those who joined for just a single year immediately prior to the 2013 membership cut-off date in mid-August and I’m sorry for that … but, remember, your membership was backdated to 01-01-13! All AHS Memberships run from January 1 through December 31 regardless of when an individual joins or renews. The year of your membership expiration immediately follows your name on the mailing sheet which accompanies each paper publication you receive from the AHS. The second Hosta Journal mailing of each year (which arrived in 2013 members’ mailboxes earlier this fall) is always accompanied by a renewal form. It is important to renew in a timely manner in order to avoid the $5.00 late fee which MUST be applied to all renewals mailed or entered online after January 15 of each calendar year --- mailing that first issue of the year individually to late renewals is a costly process! It is important to keep the AHS Membership Secretary informed of changes in your contact information. If you do not receive AHS mailings due to an unreported change of address, a $6.00 payment is required to cover the cost of shipping and handling for the replacement issue. Please send address changes to AHSMembershipSecretary@charter.net as promptly as possible. Individuals who travel between summer and winter homes should advise the Membership Secretary of their change of address approximately 6 weeks in advance. Tired of all the paper filling up your mailbox and taking up room on your desk (or kitchen table)? Why not try our new eMembership option? This option is available beginning in 2014 --- in addition to the Online Journal, you will now be able to enjoy the other two issues online and save a little cash at the same time! We also have a new 5 Year Membership option for those who prefer to renew for longer terms! Complete information is available on the website and on the renewal form which accompanied the fall issue of the Journal. AHS Memberships make great gifts for your gardening friends --- or great door prizes for your local club events! Full access to the American Hosta Society web site and Members Only section. This will give you access to digital versions of current year Hosta Journals as they are published for that calendar year, every edition of the On Line Journal, Hosta Registration Issues (current and past) and much more. You will also receive quarterly E-Newsletters via an email link to the E-Newsletter posted on the website. Several key points came out of the completed 2-year study at the University of Minnesota with Dr. Ben Lockhart. HVX can be transmitted from infected to healthy hostas by injury, resulting from mechanical contact with cutting tools or fingers. Mechanical transmission of HVX on tools or fingers occurs at a very low frequency. This, and any other mode of HVX transmission, is most likely to occur in the spring, when plants emerge from dormancy. HVX transmission may take up to 2-3 years to manifest itself as a recognizable disease. The project is on track! Dr. Grewal has accepted a new position as Professor and Head, Department of Entomology and Plant Pathology at the University of Tennessee (UTK) in Knoxville in June. The project has moved from the Ohio State University with Dr. Grewal. The necessary matching funding to carry out the research has been acquired by Dr. Grewal. A new Agreement with UTK is in the process of being signed. There has been no delay in the project due to the changes! Some very exciting first results have just come in from Dr. Grewal. Objective 1 Test Results: In the early spring, soils, leaves, roots, and overwintering hosta crowns were sampled to check for the overwintering foliar nematodes, especially for the overwintering nematode eggs. The nematodes were found in the soil, the leaves, and the crowns (buds), but not in the roots. Nematode eggs were not found in the soil, but observations suggest that eggs may overwinter in the leaves and buds. This observation will be repeated next year to confirm the results. Objective 2: A pot experiment shows that if the pots of healthy hosta plants are placed close to the pots with the infested plants, the healthy hosta developed nematode infection symptoms, even if they were from a different hosta cultivar. In another pot experiment to check whether the healthy hosta can be infested by the foliar nematodes present in the soil, it was observed that there are a high percentage of healthy hostas that became infested. These experiments provide evidence that healthy hosta plants planted in the nematode infested soil or even close to another infested plant, even when there is no direct contact with the soil, can get infested by nematodes. This is the exciting part! Out of the tested chemicals, several (ZeroTol, Bifenthrin, G-Cyhalothrin, Azamax, Clorox®, Sodium dichloroisocyanurate, Grapefruit Seed Extract, Ammonia, and Neem oil) produced relatively high nematode mortality (50 to 100% at high concentrations and 30-40% at low concentrations). Of these tested chemicals, several readily available to every gardener, (Clorox® and Ammonia) had a 100% mortality rate! The entire experiment will be repeated for comparative data analysis. More results from testing are expected in the early spring. We are offering partial sets of Journals from 1983 to 2012—different journals per set for $1.00 per journal plus $15.00 shipping. Currently, the largest partial set has 47 journals. All other countries please contact Barbara Schroeder for the additional shipping charges. Set includes two DVDs covering all 16 issues of The American Hosta Society Bulletin and 62 issues of The Hosta Journal from 1969–2012 in E-Book format. A limited supply of back issues is available. We are offering them for $1.00 per issue + shipping; please contact Barbara Schroeder to verify availability and shipping charge. Note: These DVDs have been tested on MS Windows, Apple computers (with CD drive) and the Android tablet. We do not think these will work on cell phones or some tablets. Enclose a check for $59.95 (U.S. dollars). International addresses add $5.00 for shipping. Phone or e-mail in case we need to contact you. 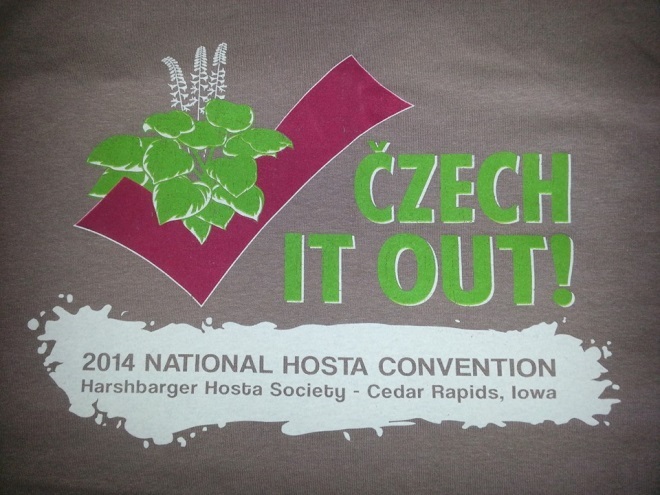 Orders must be postpaid in the U.S. Make checks payable to American Hosta Society. For international orders: payment in U.S. currency, check drawn on a U.S. bank or postal money order payable in U.S. currency. This is the perfect time of year to remember someone who has passed away and has been an active member of The American Hosta Society or a member of your local society. If so, AHS would like to honor that person with a remembrance. Please contact the Memorials, Ways and Means Chair, Harold McDonell, at HaroldMcdonell@aol.com. Harold will send an acknowledgement and make sure your thoughtfulness is recognized. A trust has been set up by the AHS in honor of the co-founder of The American Hosta Society, Alex J. Summers, who passed away April 13, 2009, at the age of 95. Alex was involved in almost every aspect of the growth and development of hostas in our country. He launched what is now The Hosta Journal and almost single-handedly wrote and edited each issue for the first 10 years. Your contribution to the Alex J. Summers Trust will be added to those of many other hosta lovers. The income from this trust will assist The American Hosta Society for many years to come. To make your contribution, please contact Harold McDonell at HaroldMcdonell@aol.com. All contributions to Memorials and the Alex J. Summers Trust are tax deductible. The AHS invites you to showcase the great gardens in your area while hosting an AHS convention where good friends come together to appreciate everything Hosta. This premier AHS annual event is the highlight of many a hostaphile’s year, combining business with pleasure: garden tours, vending, the AHS Live Auction and Hosta Show are highly anticipated components of each convention, along with scientific lectures and other educational opportunities...and Hostatality, of course! The American Hosta Society will provide you with years of collected data and access to the wisdom of former convention chairs, plus the Executive Committee will bear major responsibility for organizing the Hosta Show and Live Auction. With new options for shorter timelines and alternate transportation, crafting a unique convention has never been easier! If your area has good hotel facilities and some grand gardens deserving of exhibition, contact me to begin a conversation and learn more about applying to host an AHS Convention. We’d love to visit your area! The first opening for hosting an AHS convention is 2016. If you'd like to discuss the possibility of hosting an AHS National Convention, please contact me. "The AHS strongly endorses the registration of all hosta cultivars by the plant originator, except in the case of registration by the AHS or its designated proxy on behalf of a deceased originator. The AHS does not countenance the unauthorized propagation and/or sale of a hosta cultivar." The Executive Board of the AHS recognizes the value that hybridizers bring to the advancement of the genus hosta through their efforts. We applaud the many businesses that work collaboratively with the hybridizer to make new cultivars available to all. Registration is an excellent way to record pertinent information about each plant for today and future generations.